This is where I will keep updated information for the businesses that have appeared on CNBC's The Profit. This will be continually updated, so feel free to bookmark it and share it with others. I have kept comments available on this page, so if you see anything I may have missed or have any updates regarding a business status, feel free to leave a comment or Email Us. Marcus - Out The business is still open, but no deal was made on the episode. Marcus was able to get his money back in August 2013 and confirmed with this tweet. Marcus - Out The business is still open, but lost their contract with Disney and no longer has kiosks there due to mentioning Disney on the show. Marcus invested $40k in a follow up episode, to apparently help their web business. Marcus also gave them their domain name (Tweet). Marcus - Out Marcus is no longer involved with Eco-me (Tweet) and he sold his position. Eco-me was strategically acquired by Kittrich Corporation in March 2014. Products are also available on Amazon. Marcus - In Still open and still goes by Mr. Green Tea. The warehouse is complete. Partnered with Crumbs Bake Shop to offer a Crumbs Ice Cream line. Marcus said the product was to be sold in Walmart, but the deal didn't work out. More detailed update. Marcus - In Still open and has opened 9 new locations. A lot of the inventory (Around 60%) is bought from 1-800-Car-Cash from season 1 of the show, which Marcus also invested in. Marcus - In Still open and Tina's protein bars (Pro-Fit) are available at GNC and other stores. Marcus - Out A deal with Marcus wasn't made on this episode. Still open and they actually took Marcus's advice such as moving the business to Georgia. Marcus - Out Peter and Steve were unable to cut a deal with NASCAR and did not want to give up financial control to Marcus, so he walked away. Marcus was able to return the expensive 3D printer he bought this episode. Marcus - In Marcus is a 50% owner and bought a mansion in downtown Jacksonville for $500,000 and spent $2.3 million renovating it. This now houses Sweet Pete's and has been a Jacksonville attraction. Currently expanding and acquired a business in Lake Forest, IL to convert into a Sweet Pete's (Link). Sales increased to approx. $4 million in first year of partnership with Marcus. Marcus - In Still Open with a lot of great reviews on Yelp. Marcus maintains a 51% ownership stake. Business closed in July 2017 after quite some drama with lawsuits and Marcus Lemonis - More details on closure. Marcus - In Still open with a lot of good online reviews. Also sells a lot of pies through their website. Partnered with Crumbs Bakery to offer frozen Key Lime pie bars. Marcus also gave Tami 25% stake in the company. Marcus - In Still open with 6 locations in the US. There are plans to expand to more locations in 2015 such as Lake Shore, IL. All locations underwent renovations/remodeling and product lines were updated. Marcus - Out No deal was made on the show and he let them keep the $17k worth of equipment. The daughter of the business owners wrote a long message on their website bashing the show and trying to explain some things from their side. That site now says they sold the business. Marcus - In Still open and both the salon and the hair care line "Erika Cole by Raquel" seem to be doing well. Marcus - Out Still open and Rebecca was fired and her name was taken off the company website. Marcus - Out Still open and has expanded into more product lines with Coopersburg Products LLC. They appear to have licenses with the NCAA, NFL and NASCAR. Marcus sold his shares in the company for $80,000 worth of product and lost his initial investment. Marcus - In Still open and have very positive online reviews. They have made additions to the building to make it larger. They had to replace the American Flag with a new one after a rough winter. Marcus - Out Marcus didn't reach a deal with this business, but they still remain open and keep an up-to-date Facebook page. Marcus - In They are still open with positive reviews on Yelp. They have 3 locations in PA and 1 location opening soon in IL. On the show they had 5 franchise locations in PA, so they appear to have lost 2. They continue to open new franchises. Original owners have sued Marcus Lemonis - Details on lawsuit. Marcus - In Still open with a very loyal following. Still offers the Good, Better, Best drum kits - More Detailed Update. 2 Update Episode Multiple N/A Updates on Coopersburg Sports, Key Lime Pie Co., Artistic Stitch, and Unique Salon & Spas - More Detailed Update for each of these businesses. Marcus - In Inwood location is still open and they are looking to expand. Working on launching other minis such as danishes, cookies, muffins. More Detailed Update. Marcus - Out Still open with some complaints about high prices. The building Standard Burger in is listed for sale. More Detailed Update. Marcus will own most of the future sites if they decide to expand. UPDATE - As of June 2018, the Standard Burger location on the show closed. Also Marcus Lemonis is no longer involved in the restaurant. Marcus - Out Still open with a lot of complaints about food, customer service, and trouble with canceling plans. An investor was supposedly involved in a Ponzi scheme. More Detailed Update. Business shut down in early 2017 after a lot of complaints. Marcus - In Still open and a new furniture line was created called The American Dream. A warehouse was purchased for a new factory. More Detailed Update. Marcus - In Still open and have expanded their reach across the country and hired 8 additional workers. Looking for a larger facility. More Detailed Update. Marcus - In Still open and has rebranded as Pure Lano. However the other websites are still active. More Detailed Update. Marcus - In This business is still open and expanded quickly by doing many acquisitions. Closed 17 of their 67 locations in early 2019. More Detailed Update. Marcus - In This business is still open and has kept the new name Denim & Soul. They currently have 4 locations and 2 more coming soon. More Detailed Update. Marcus - In This business is still open and Kab is still part of the ownership. Gazebos at 1 local True Value. More Detailed Update. Marcus - Out This business is still open and has 2 locations as well as a food truck. Marcus walked out on this deal. More Detailed Update. Marcus - In This Betty's Pie Whole location is still open and it the Elizbethan Desserts location was closed for some time, but reopened. More Detailed Update. Marcus - In The business is still open and a new web page has been launched. Offers a Sweet Pete's (season 2) line of candles. More Detailed Update. Marcus - Out The business is still open and Marcus walked out on the deal. The prices of the longboards are still over $300. More Detailed Update. Marcus - In The business is still open and Marcus has been getting his followers to provide feedback on shoe designs. More Detailed Update. Marcus - Out The business is still open and had positive reviews on Yelp before the episode. Marcus walked on the deal after realizing he was being used. Their Facebook page was bombarded with negative comments after the show aired. More Detailed Update. Marcus -Out The business is still open and has positive online reviews and has been featured in a few recent business articles. Marcus didn't invest as Christina's demands were too high. More Detailed Update. Marcus - In Farrell's is still open and has closed two locations since filming (Sacramento & Rancho Cucamonga). 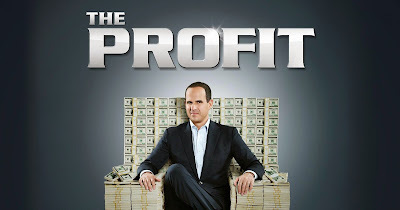 Changes implemented by Marcus Lemonis will be rolled out after the show airs. More Detailed Update. Marcus - In Business is still open and the physical store is still closed. Has a The Profit collection on their website and plans to launch a women's line. More Detailed Update. Marcus - Out Business is still open with five locations. Marcus walked out due to issues with owner Dave. More Detailed Update. Marcus - In Business is still open and the website design from the episode is live. Owners have appeared on other reality TV shows. More Detailed Update. Marcus - In Business is still open and the food trucks are available for private events. More Detailed Update. Marcus - Out Business is still open and Marcus walked out on them. The labels on the products remain the same. More Detailed Update. Marcus - In Business is still open and they are still partners with Grafton Furniture. More Detailed Update. Marcus - In Business is still open and there is only one location that has re-branded as American Tea and Spice. More Detailed Update. Name has since changed to American Tea and Coffee. Tea 2 Go also has many franchises open and is expanding. Marcus - In Business is still open. More Detailed Update. Marcus - In The Los Gemelos location in Port Chester NY on the show has closed. Marcus created a line of Mexican food products which haven't hit shelves yet. More Detailed Update. Marcus - Out Susana Monaco is still open and is sold in many retailers online. More Detailed Update. Marcus sold his stake in March 2019 to Jump Design Group. Marcus - In Has kept the name Siloett and has expanded to include swimsuits, t-shirts, dresses and accessories. Has offices in New York and Los Angeles. More Detailed Update. Marcus - In Has kept the new name and only has 1 location open (Chicago). Inkkas shoes (season 3) are available for sale on their website. More Detailed Update. Marcus - In Has kept the new logo on their products. Have hired an in-house bookkeeper, so Ramona can be more focused on other tasks. More Detailed Update. Marcus - In Business is still open and operates in Allentown, PA inside Precise Graphix (Season 3). More Detailed Update. Marcus - In The first Red Beard location was scheduled for Spring 2017, but has been delayed a bit with expectation of an October 2017 opening. More Red Beard locations are under development with 7 to 8 planned in a year. More Detailed Update. Marcus - Out Food Truck is still open and looking for franchisees. Marcus backed out of the deal and didn't parnter with Hip POPs, but wished them the best. More Detailed Update. Marcus - In Business is still open with two locations. More Detailed Update. Marcus - In The company offers 2018 models on their website. More Detailed Update. Marcus - In The company now offers women's jeans in 4 different varieties. More Detailed Update. Marcus - Out Marcus walked out on the deal. Monica and Marcus remain friends. More Detailed Update. Marcus - In Chocolate chip is available online and other flavors are planned for launch in early 2018. Also plan to have monthly subscriptions in the future. More Detailed Update. Marcus - Out Ray said the business is thriving and air conditioning is in 2018's budget. Ray was fired from his DJ job and took a leave of absense from the company due to his comments on the show. More Detailed Update. Marcus - In Business is still open. No updates made on their website since the show. More Detailed Update. Marcus - In Business is still open. Website was recently redesigned. More Detailed Update. Marcus - In Business is still open with the 1 location in Seal Beach. More Detailed Update. Marcus - Out/In Business is still open. Charlotte now the CEO of Everkin and Skyler is founder/COO. More Detailed Update. Marcus - In Business is still open. Aristotle is president of Marcus Lemonis Eyewear Group. More Detailed Update. Marcus - In Business is still open. Chris is listed as a Chief Outreach Officer + Secretary for The No Bull Movement. More Detailed Update. Marcus - Out Business is still open and has two locations. The Pavoni family is no stranger to reality TV. More Detailed Update. Marcus - In Business is still open. More employees have been hired and the website has been updated. More Detailed Update. Marcus - Out Business is still open. Marcus walked from the deal on the episode due to Maggie's unwillingness to change. More Detailed Update. Marcus - In Business is still open and rebranded to Kool Kids. They are located inside Marcus Shop stores and have locations in New Orleans, Baton Rouge, and Jacksonville. More Detailed Update. Marcus - In They plan on expanding to more locations and to get into the wholesale bagel chip business. More Detailed Update. Marcus - In As of the episode airing, there are no Queork products in Wine Enthusiast More Detailed Update. Marcus - In The store was remodeled as part of the show and reopened November 2018. More Detailed Update. Like us on Facebook or Follow Us on Twitter to stay up to date with all things involving The Profit. If you watch Bar Rescue, visit Bar Rescue Updates for updates on bars from that show. See Kitchen Nightmares Updates to see how many restaurants from that show are Open Vs. Closed. Also, for those that watch Restaurant Impossible, visit Food Network Gossip for updates on those restaurants.